It’s a double-header giveaway today! Not only do we have tickets to the Nutcracker (see post above), we also have FOUR tickets to see the on-stage production of A Christmas Carol at the Walton Arts Center on opening night, December 3rd at 7 p.m. And before you get your Scrooge on, you can chow down at the family-friendly U.S. Pizza, just a couple blocks away from the Walton Arts Center on Dickson Street. 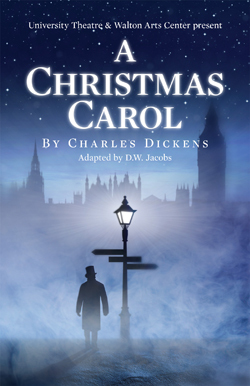 ABOUT THE SHOW: This weekend’s production of this Dickens’ classic is by the University of Arkansas Theatre and features those ghosts we know so well — Christmas Past, Christmas Present and Christmas Future. 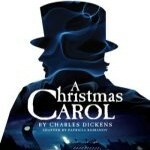 Your family will enjoy Ebeneezer Scrooge’s journey and transformation from miser to Mr. Generosity. 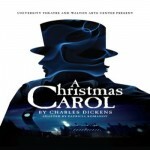 There are additional performances of A Christmas Carol on Saturday, December 4th at 2 p.m. and 7 p.m. Call the box office at 479-443-5600 for ticket information or visit them online by clicking here. HOW TO ENTER: To throw your name into the hat (winners are chosen at random), just tell us about a memory from Christmas Past, or tell us what you’re doing this year for Christmas Present, or you can say what you hope to do during a Christmas Future. Your choice! Click the orange comment button below to post your comment, or you can email your entry to us at giveaways@nwaMotherlode.com. HOW TO INCREASE YOUR ODDS: As always, we love it when our fellow moms help spread the word. Send an email to your friends or family about the giveaway, and we’ll give you an extra chance to win for every person you tell. Just be sure to put giveaways@nwaMotherlode.com on the CC line of your note so we can give you proper credit. 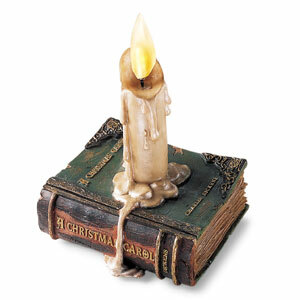 We promise not to be a Scrooge about it! Great Date Giveaway: Tickets to The Wedding Singer, Dinner and a DVD!! Nutcracker tickets and dinner at Bella Napoli! Christmas is a wonderful time of year for sharing what we have with others. Being with family and friends is what makes the the holidays so magical but let’s not forget about those who are less fortunate and opens are hearts and doors to them. Christmas is such a special time of year 10 grandkids make it so. To see there faces when they open their gifts and we talk about how blessed we are that we do have gifts and family to love us and care about us. Some of my favorite time spent at Christmas was getting names of elderly “shut-ins” from an area agency…and preparing sacks with goodies and little gifts…and dropping by their house and presenting the sacks and visiting with them for a few minutes…giving them some attention. I always felt that this was a good thing for my kids to witness. My favorite memory from Christmas past was going to my grandparents’ house for Christmas Eve. All my aunts, uncles and cousins were there. The house was packed. We laughed, opened gifts, ate and sang Christmas carols. It was so much fun. We still get together, but it’s not as special without grandpa and grandma. We started a new tradition a couple of years ago which is to have all of the kids in the family take turns riding about the birth of Jesus from the bible and then sing christmas carols. My mother in law requested this and it is really a nice tradition. Christmas present is such a wonderful time for my family. My son is 3 years old now and absolutly loves Christmas time. We put our tree up last night and he was so excited about being able to help. He got to plug the lights in for the time and the smile on his face was brighter than the tree it’s self. Being a parent brings a whole new joy to Christmas. As a child, on Christmas Eve we always went to church and then on to my Grandparent’s house for a big meal and we would open some of our presents and then spend the rest of the evening laughing and sharing stories and listening to Christmas songs played on the guitar by my uncles. Now that I’m grown, I’m thankful that my Grandma is still around and my children are able to go to their Great-Grandma’s house to do the same! When I think about Christmas, I am always transported to my grandparent’s house, full of aunts, uncles, cousins and friends. Sleeping pallets on the floor, lots of food, long monopoly games, cedar trees from the back lot, love and laughter. I love carrying on the traditions in our own family! I remember watching my father put the lights on the tree with such amazement! He made the tree look beautiful. I now hope that my daughter looks at me that way. Christmas really brings out the best in people I think. I remember that every year I would get so excited b/c I knew I was going to get a new outfit to wear and that decorating the house was going to be exciting. Driving to my sisters in an ice storm. I would like to take a couple of neighbor girls to this play since they have never seen it. It would be such a pleasure to share the tickets with the little ladies. Growing up my mom gave us a new ornament for the tree each year. We would be so excited to see what our ornament would be. I love going and picking out a live tree and coming home to decorate it. This is going to be especially interesting this year since I have an 8 month old that is just starting to crawl and who is getting into everything! Trapped in a blizzard at Dulles International Airport, and as yet unknown to me, pregnant with my first child. I love the smell of christmas. lots of baking. The lights and christmas carols playing all over town. Its neat to see the city transform. Christmas Morning Past, Present & hopefully Future. Every year our 3 girls have to wait for mom and dad to be ready before they could come down stairs. So here they would sit on the top step in their PJ’s just waiting. Now one is married, one off to college and the youngest in high school. I still make them sit on that top step even if it just for a picture! I miss them being little But I have my wonderful memory’s from the past with more being made every year! When I was a child we had a huge ice storm at Christmas so the electricity was out. We were at my Grandmother’s and she had a wood-burning fireplace. We played games and cards and ended up having so much fun! I love when it snows on Christmas- there is nothing better than a white Christmas!! One of the funniest Christmas memories as a kid was on Christmas Eve we would open presents from distant relatives and have homemade Christmas cookies and Eggnog; one year our neighbor sent over cookies that none of us liked and while we were out of the living room our dog at the entire plate of the neighbor cookies but didn’t touch any others. We laughed hystarically! As a child our family would always invite over one or two families for christmas eve. We would have TONS of mexican food and then all the kids would act out the christmas story!! One of my favorite Christmas memories is always being allowed to open up one present on Christmas Eve. It was so fun and we couldn’t wait to do it! It had to be small though so it usually ended up being a pack of batteries! Listening to the Muppets Christmas album with my family and singing together loudly. Very fun. Last year my daughter was 3 and all she wanted was a batman costume…my husband was so proud! One Christmas when I was little, we went to DISNEYLAND on Christmas day! It was a blast! Hope to do it again with my kids! I have so many wonderful Christmas memories but one of my favorites is the year I was around 14 or 15 and I hid all of the stockings for me, my parents, and siblings and left notes all over the house to follow the clues to each stocking! My Mom hid mine so I got to play too! It was SO fun!! One of my fondest memories was when I was about 8 years old. My parents didn’t have much money and my mom stayed at home to raise 4 kids. So making ends meet on just my dad’s income had to be so very hard on them. But as kids, we never really saw that. We had a Christmas tree that stood about 2 feet tall and sat on a table to make it look bigger. 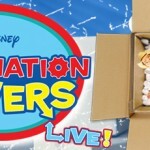 I remember shaking every box to guess what was in it. Come Christmas morning, I got a very small Arkansas Diamond ring and a jewelry box. I felt like a princess! To me, it was the biggest and prettiest diamond in the world. My ear-to-ear grin in the Christmas picture that year said it all! In 2007, we spent te wee hours of Christmas Eve in L&D waiting on our little boy to make his arrival. He took his time and arrived on the 27th, but it made for a very exciting Christmas! A favorite Christmas past was the year we surprised my MIL with an invitation to her 40th anniversary party. My husband and his sister and families planned a surprise wedding anniversary party. They eloped so she had never walked down the aisle. This way she could pick out what she wanted to wear but didn’t have to plan anything else! We are so happy that our extended family gathers the week after Christmas to celebrate together. That means that we get to spend Christmas at home with our small family before we have to travel. We are really lucky we get to do it all. My family has a past, present and future Christmas Eve tradition of opening one present — a pair of pajamas…we all then change into them and settle down together enjoying hot cocoa and Christmas Vacation! We have a lot of wonderful memories from the past. We have also had some tragedies that have shared Christmas Day. One of my favorite memories was when we were expecting and we gave everyone a present with a baby item in it as our way of announcing our pregnancy. It was so special because there were many family members there that typically were not at our Christmas, and it was my last Christmas with my grandmother. I think of a childhood friend Neille who would invite me over for Christmas morning at her house since I am Jewish and we didn’t celebrate Christmas. I was so excited to go there and her mom would put some gifts for me under the tree. When I started dating my husband who isn’t Jewish, I started getting trees and it was so exciting to me to have my own tree and start new traditions in our blended families. This is the first year we’ll be away from our house for Christmas since the kids were born, so we’re writing a letter to Santa to make sure he knows we’ll be at Granny’s and Papaw’s house! I hope we have many great future Christmas season’s!! So excited to spend Chrisas at home, and that my sister-in-law is able to travel from Guadalajara, Mexico to spend the holidays with us! This will be the first Christmas I get to spend back in England since I left in 1998 and it will be me daughter, Jessica’s first ever English Christmas, so we are all very excited!! One of my favorite Christmas memories as a child was the year I got a trampoline! I had been wanting one so bad! It was very exciting!! !